Irish black metal band Altar of Plagues have called it quits. Altar of Plagues will conclude this year. I decided before writing “Teethed Glory and Injury” that it would be our final album. It was executed with this fact in mind. I can state it no more simply than this; it is time to move on. We considered whether or not we would say anything at all regarding this. But at the very least, we would like to give people an opportunity to see us perform again should they care to. And so, these upcoming shows will be our final. Our very final performance will be on October 19th, at Unsound Festival Poland. As a festival that celebrates the eclectic and the eccentric, I can think of no other place that would be more appropriate for this occasion. It is exactly the type of environment in which I have always aspired to share our work, and it will be a celebratory occasion to conclude at what I believe will be the peak of our existence as a group. I still find it difficult to believe that what began as a bedroom recording in 2007, became a group of individuals that have performed in Moscow, San Francisco, and many places between. We have travelled further, and shared more music than we had ever expected. Thank you to each and every person who supported us. I will continue to work as WIFE . However, I am not closing the door on the sounds I developed as Altar of Plagues. Many stones remain unturned. At least they fit in two US tours and went out with a bang; Altar of Plagues’ new LP Teethed Glory and Injury will surely end up as a year-end favorite for many. And James Kelly’s project WIFE is nothing to scoff at. 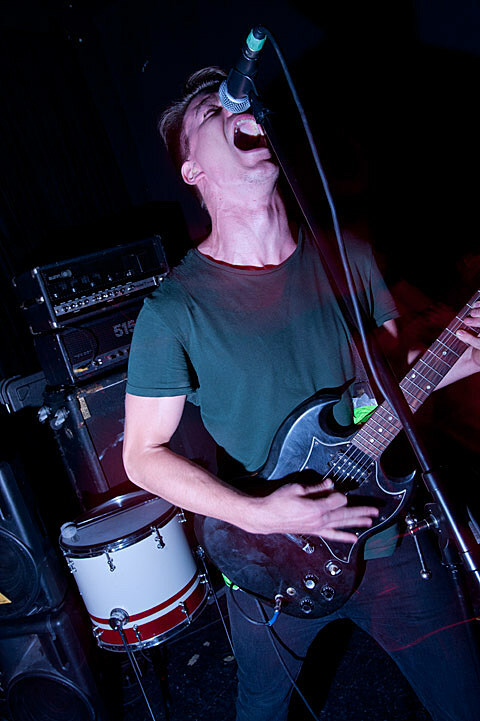 If you missed it, make sure and check out our recent interview with James Kelly of Altar of Plagues.